Home > Blog > Uncategorized > Why are GMP Regulations Important in Today’s Pharmaceutical Labs? Why are GMP Regulations Important in Today’s Pharmaceutical Labs? 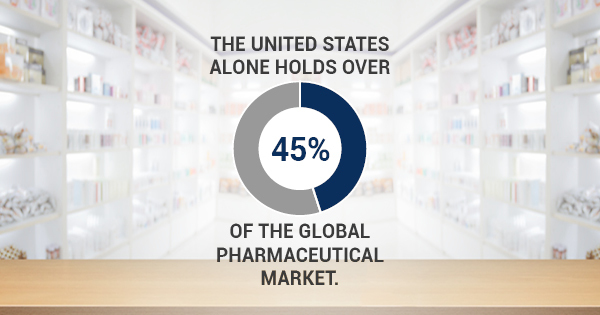 With the U.S. holding more than 45% of the global pharmaceutical market, it’s important for laboratories to abide by certain regulations. The regulations in place help to maintain pharmaceutical quality so they’re safe for consumers. Good Manufacturing Practice (GMP) regulations give pharmaceutical labs standards they need to meet to ensure their products are both safe and effective. So let’s take a closer look at why GMP regulations are so important in today’s pharmaceutical labs. This is especially important in laboratory settings that handle potentially dangerous radiolabeled compounds. All in all, GMP standards cover the manufacturing, testing, and storing of drug products. When a company fails to comply with GMP storage conditions, process standards, or any other regulations, any drug products the company has produced or stored is considered “adulterated”. If the FDA inspects pharmaceutical manufacturing facility and determines they have not followed GMP regulations, this does not necessarily mean the drug product is unsafe, but rather healthcare professionals will have to use their best judgment to tell their patients whether or not the drug is safe to take. So, why are GMP regulations important? When a consumer buys a drug product, they have no way of knowing whether it’s safe to take or not. They have to trust that the drug was made, tested, and stored properly so they can safely use the product. And this is where GMP regulations come into play. While all drug products are tested, tests are generally done only on sample batches, not every single product. So GMP regulations are in place to ensure that each and every drug product is manufactured and stored properly. This way, if a sample batch is tested and passed, the manufacturers can assume that the remainder of the batch is good as well. Overall, GMP regulations are in place to ensure every drug product and radiolabeled materials is manufactured safely. Under these regulations, the public can rest assured that the drug products they’re taking are safe to consume and use.